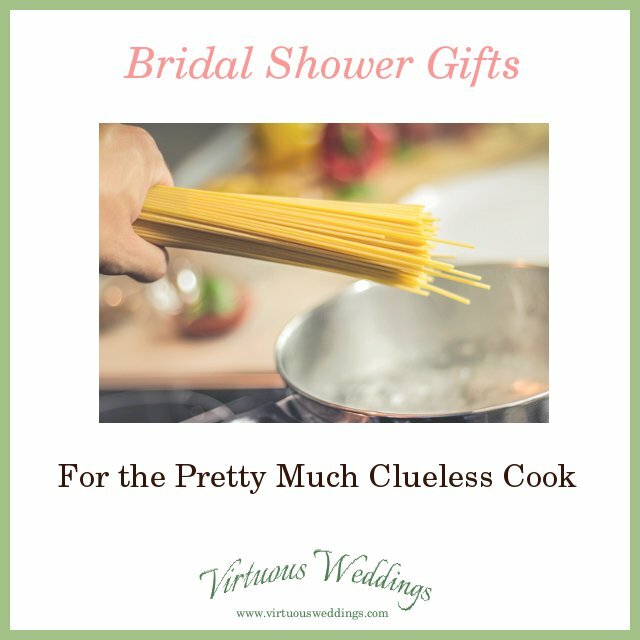 Is someone near you getting married soon who isn’t quite ready to feed her new family with ease? Help her out with one of these gifts for new cooks! What are the absolute easiest things you make? Things that require no special skills, ingredients, or tools, and take few ingredients? Even things you don’t need a recipe for but a new cook might? Get those onto pretty (or plain) recipe cards and you’ve got a great gift! You could also make your own laminated reference guide if you know more about what the bride needs than Leisure Arts does. With your cooking and kitchen tips, family recipes (if you’re part of her family), and other information. Tailor it to her needs and cooking for two. Gift her this online class from Craftsy. The class includes sauteing, blanching, roasting, stir-frying, steaming, and more! Ten lessons for $39.99. If anyone needs them, it’s the inexperienced cooks. The people who don’t know that spaghetti sauce jumps out of the pot onto the cook without the lightest provocation. If you don’t sew, you might try Etsy, starting here and here. The sub-title may not be 100% true (for everyone) but it is a thorough cookbook any new cook can get started with. A sewing kit (usually) comes with the pattern and materials, and sometimes everything you need, including thread. So, make a cooking kit based on that concept: the recipe and all the ingredients. 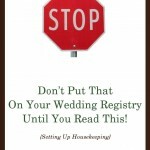 You could even throw in extra hints and tips, and some of the tools she’ll need. If you don’t include everything, be specific about exactly what she’ll need. The latest edition of a classic. 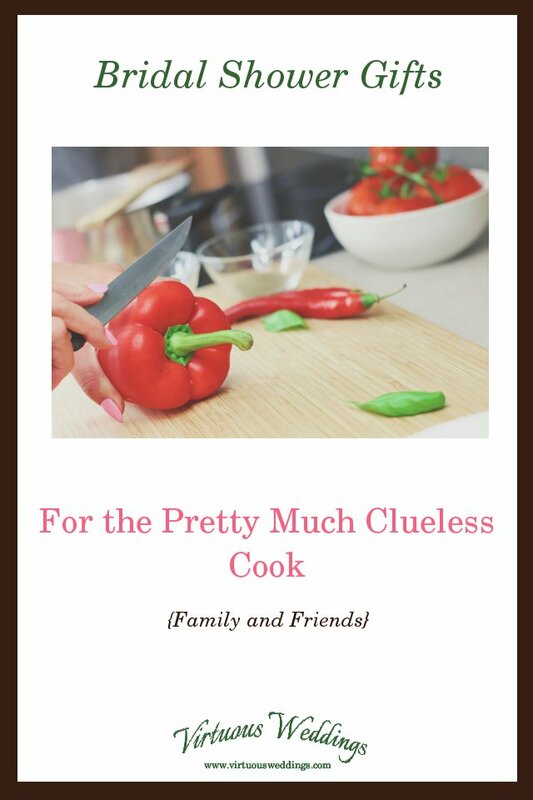 So what would YOU give a pretty much clueless cook? Share your ideas!